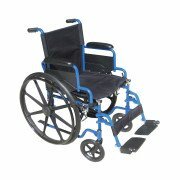 Standard Weight wheelchairs are the perfect choice when you need to be self-propelled but won't be sitting in the chair all day. 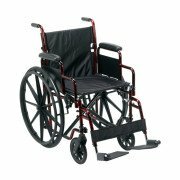 Generally weighing between 35 and 44 lbs., Standard Wheelchairs feature folding frames, swing-away foot rests and armrests. 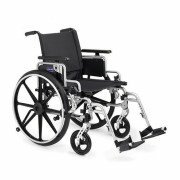 If you’re looking for a standard wheelchair with a strong and durable frame, take a look at our standard wheelchairs. Most of the seating guide mechanisms have been built with a low resistant Nylon 6/6 GF 15% or above for the latest in economical seating. 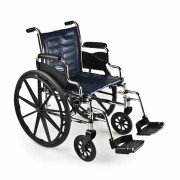 Our wheelchairs come with many different add on features, including options and accessories that cater to your needs. Most standard chairs are made with a steel frame. 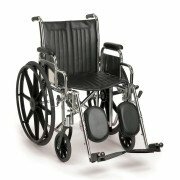 Standard manual wheelchairs are the most frequently used wheelchairs in today’s market. 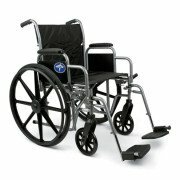 Standard wheelchairs weigh over 35 lbs. without the front riggings, they have a seat width and depth between 16 and 20 inches, and have fixed or detachable armrests. 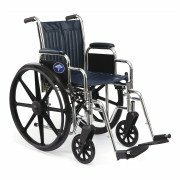 Choosing a standard wheelchair is best decided when the user who will be operating the chair measures their immediate needs, including lifestyle activities, the amount of time on a daily basis that the chair will be used, and the situation and criteria of their condition. 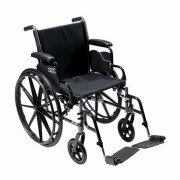 Different conditions can dictate the type of wheelchair you will need, depending on your needs and level of mobility. Full time wheelchair users may need a different type of wheelchair than part time users, depending on daily activities and lifestyle choices. 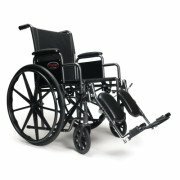 We have the best standard weight wheelchairs on the market. 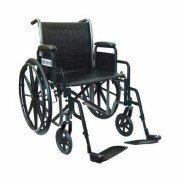 You can purchase lightweight folding wheelchairs from the leading wheelchair manufacturer in the country. 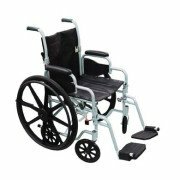 We also provide ultra lightweight wheelchairs that are easy to fold and store. 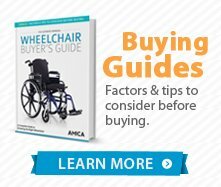 Light wheelchairs typically are made from aluminum but sometimes from steel or a combination of both metals, which amounts to their less than standard weight. 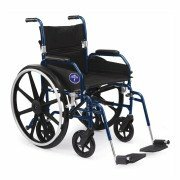 Light Wheelchairs in this category generally weigh from 29 – 34 lbs. 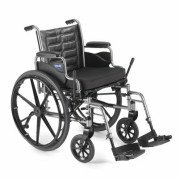 We have many wheelchairs to choose from in this range and well below 29 lbs as well within the Ultralight weight wheelchair category. If it is lightweight you’re looking for, ask about our new 14.5 lb frame ERGO FLIGHT.